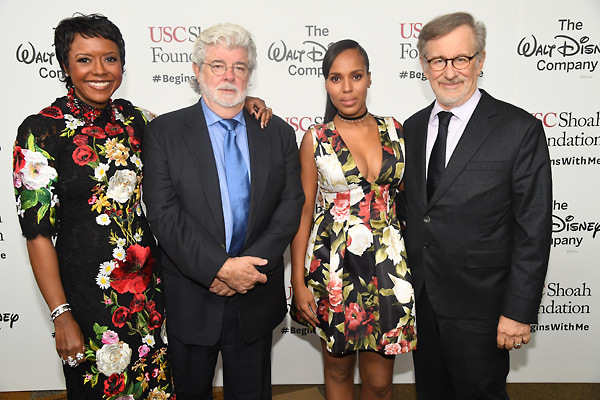 Kerry Washington was the special guest at the 2016 Ambassadors for Humanity gala honoring Mellody Hobson and George Lucas. 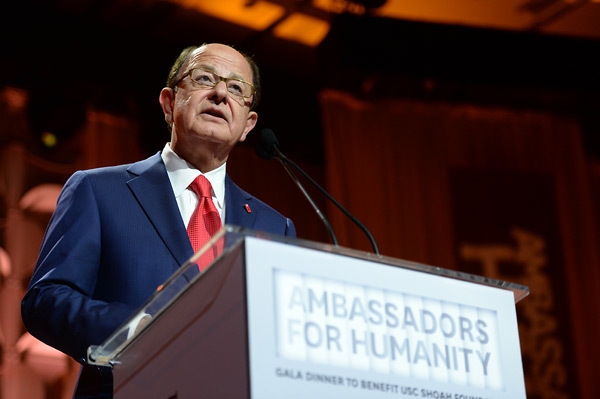 USC President C. L. Max Nikias speaking at the 2016 Ambassadors for Humanity gala honoring Mellody Hobson and George Lucas. 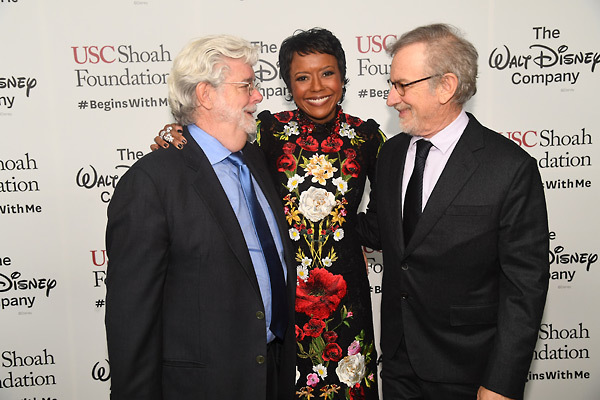 Steven Spielberg, founder of USC Shoah Foundation, introducing the 2016 Ambassador for Humanity award honorees Mellody Hobson and George Lucas. 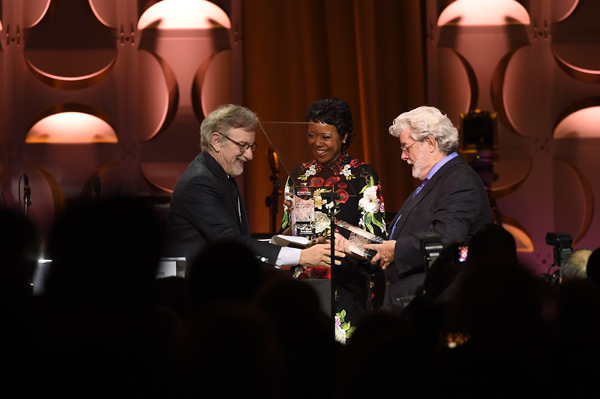 George Lucas accepting his Ambassador for Humanity award at the 2016 gala held in Los Angeles. Mellody Hobson's acceptance speech at the 2016 Ambassadors for Humanity gala, held in Los Angeles on December 8, 2016. 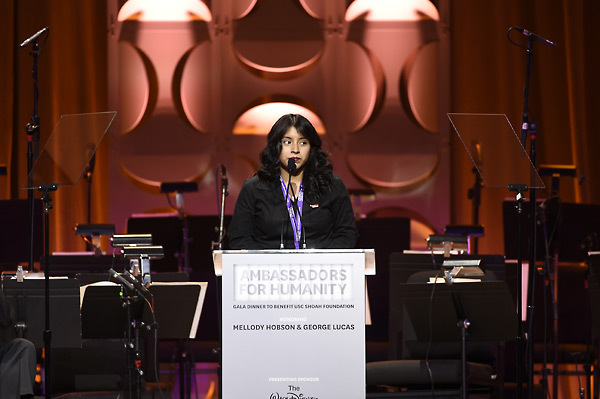 The 2016 Ambassadors for Humanity gala, held December 8, 2016, honored Mellody Hobson and George Lucas for their dedicated commitment to education. The event was held at the Ray Dolby Ballroom in Los Angeles, California. 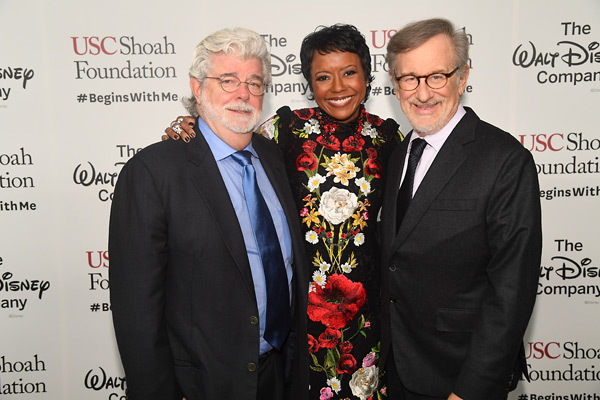 In recognition for their longstanding commitment to humanitarian efforts and education, Mellody Hobson and George Lucas were presented December 8 with the Ambassador for Humanity Award by Steven Spielberg, USC trustee and founder of USC Shoah Foundation – The Institute for Visual History and Education. 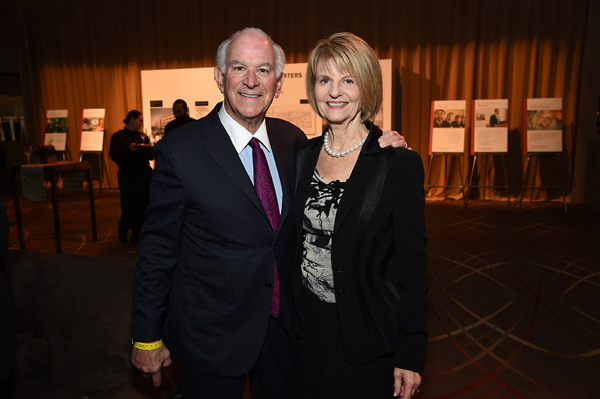 The husband and wife have long been supporters of the Institute, as well as advocates of children’s education. Hobson is the chairwoman of After School Matters, a nonprofit that provides Chicago teens with high-quality, out-of-school time programs. 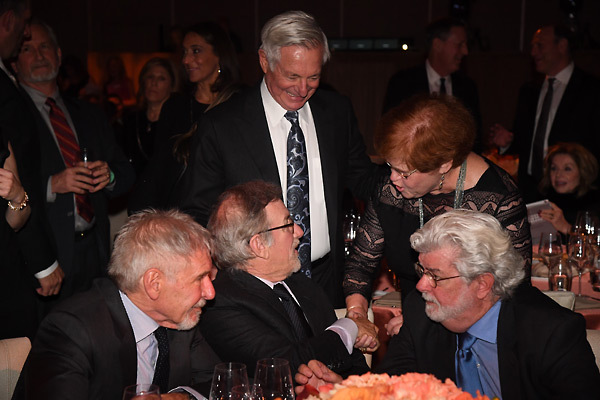 Lucas founded The George Lucas Educational Foundation in 1991 to foster innovative teaching techniques. 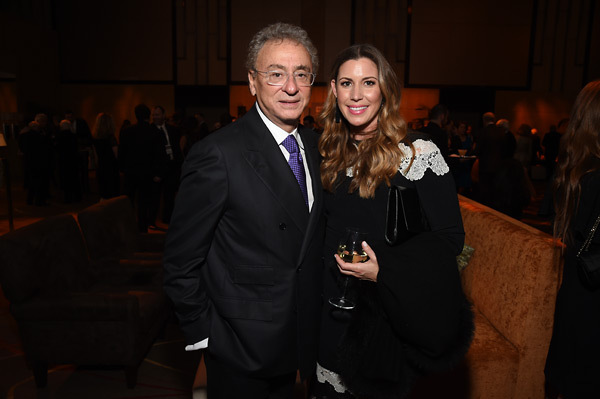 Held at the Ray Dolby Ballroom at Hollywood and Highland, the event drew a crowd of hundreds, including a few well-known faces. 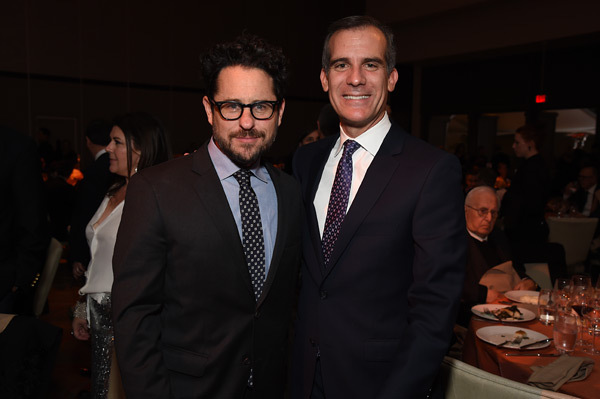 In attendance were Los Angeles Mayor Eric Garcetti, civil-rights pioneer Jess Jackson and director J.J. Abrams. 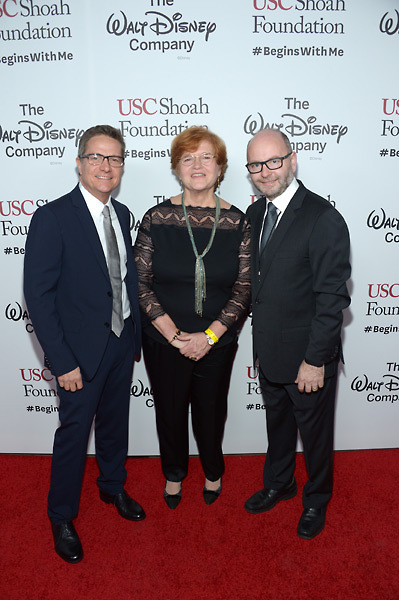 The evening was produced by June Beallor, a Founding Executive Director of USC Shoah Foundation. Beallor established the Ambassadors event for the Institute in 2000 and has produced every year since it’s inception. Welcoming the honorees from the stage were actors Harrison Ford and Kerry Washington, and entertainer James Corden. 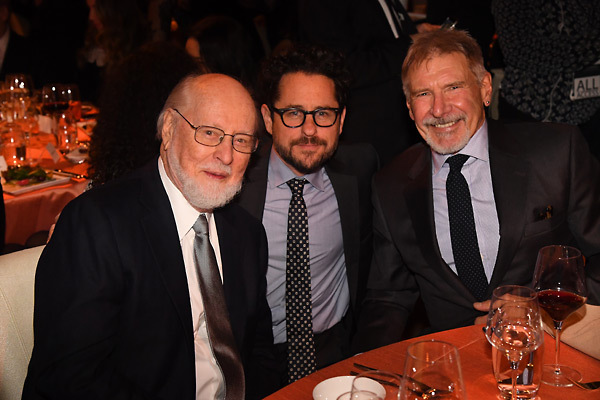 Composer John Williams conducted the the Recording Arts Orchestra of Los Angeles in electric performances of the themes from the Indiana Jones and Star Wars movies. Bing Wang of the Los Angeles Philharmonic played a mournful violin on the theme to Schindler’s List. Many of the speakers talked about the rise of antisemitism and other forms of hatred around the globe. 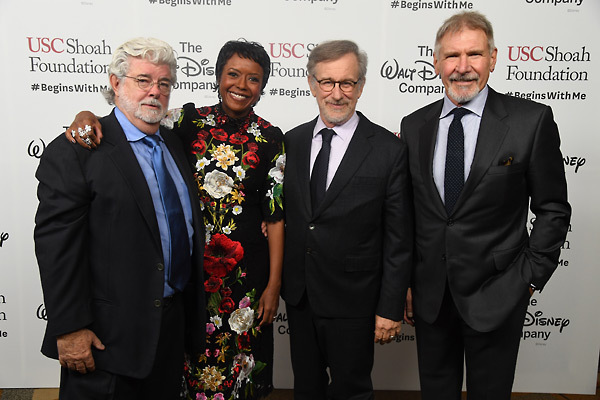 Speaking about a recent attack on a Muslim woman, Spielberg said it is imperative for people to take a stand. 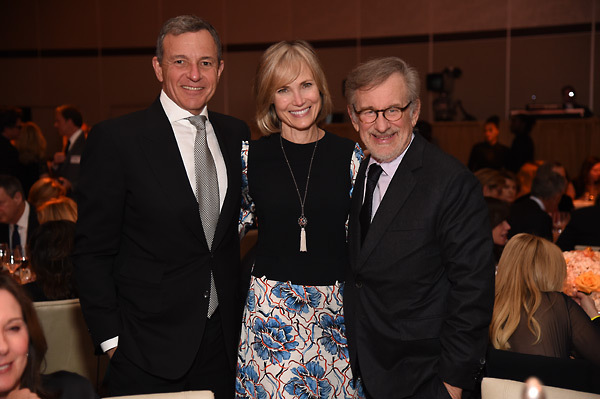 In introducing the honorees, Spielberg praised their dedication to making the world a better place. His deep affection and playfulness also came through. 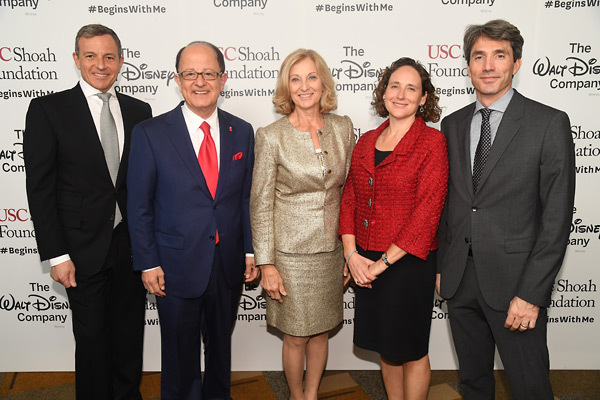 Guests had the chance to see visit exhibits showcasing the many aspects of USC Shoah Foundation. They interacted with the interactive New Dimensions in Testimony, which allows them to have a “virtual conversation” with Holocaust survivor Pinchas Gutter. They also visited students from After School Matters in Hobson’s hometown of Chicago. 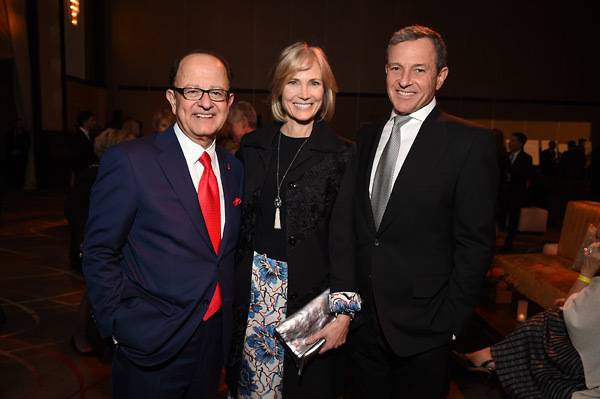 Nikias spoke of the importance of preserving the 54,000 testimonies of survivors of the Holocaust and other atrocities in the Institute’s Visual History Archive, and he commended Hobson and Lucas for working to keep memories alive. Accepting his award first, Lucas talked about his own lackluster performance in school when he was young – he admitted to being a C- student – and how important it is to inspire students by giving teachers the tools they need to do their job right. Hobson teased her husband by reminding him that she earned A’s growing up. On a more serious note, she talked about how she felt the sting of racism more now than ever before. And she told the audience that they would have to make a decision – whether to see the world as it is or how it should be. 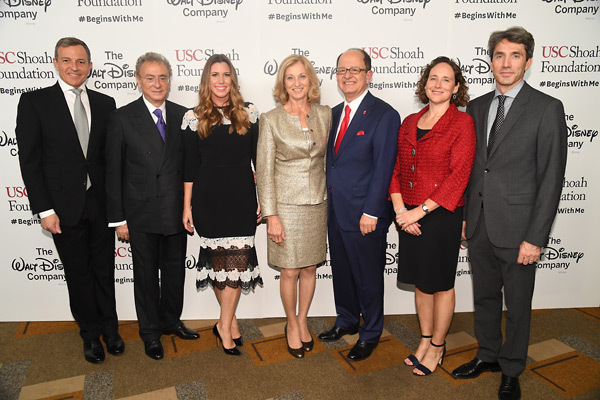 USC Shoah Foundation Executive Director Stephen Smith spoke of the ongoing need for the preservation of survivor testimony. He too warned about the rising tide of antisemitism and discrimination. Chicago student Lynette Lucero talked about her own path to understanding and the importance of not being a bystander. 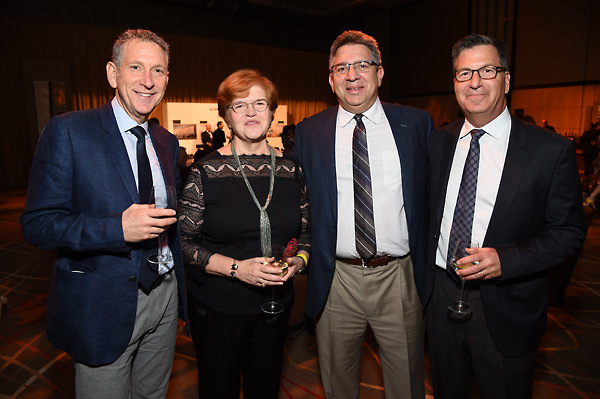 The Ambassadors for Humanity event is a crucial part of the Institute's efforts helping to forge partnerships that sustain the organization into the future. The gala raises much-needed general funds to support its educational programs including expansion of the Institute's award-winning IWitness website, professional development for educators globally, the Center for Advanced Genocide Research, academic conferences, expanding access to the Visual History Archive and testimony preservation, and others.